Our Bellingham CPA firm offers a complete range of accounting, tax and consulting services to meet the needs of your business. Our primary services include accounting and bookkeeping, tax planning and preparation, QuickBooks support, entity selection, incorporation support and business consulting. In addition, we offer specialty services to meet the unique needs of each individual client. Contact us today for a FREE Initial Consultation. 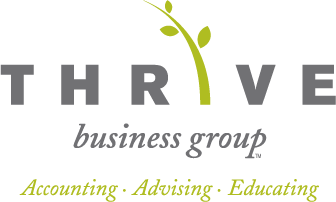 For less than what it costs you to do it yourself or hire someone, Thrive Business Group can manage all or part of your accounting function.